Wayne Elston and Joe Rogers have been staging the popular campout and dual sport riding event at Adams Fork campground near Mt. Adams for many years now and 2012 was the usual success. We had clear skies and mild temperatures through the weekend. 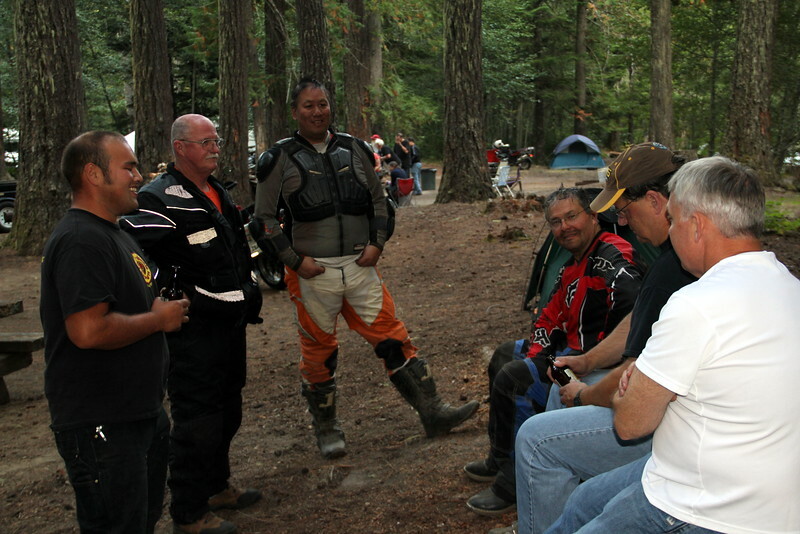 A big turnout of over 60 people made it a great reunion at the end of the riding season. Lots of food and beverages were available to keep everyone fueled and lubed. A big thank you to Wayne and Joe for hauling all the gear and food to make it such a relaxed event. If you would like me to remove a photo of you, let me know.